I feel kind of bad for Little Buddy. This week has been his spring break and frankly he has not done a whole lot. I have been working, my husband has also so little one has been home just hanging out. I am not saying he did not need some down time because I think he did. He has been playing and doing a lot of his math program for school on the computer. Still we needed to do something different and a bit memorable, especially because his writing assignment this week is, "Describe something fun you did on Spring Break." That put the pressure on. 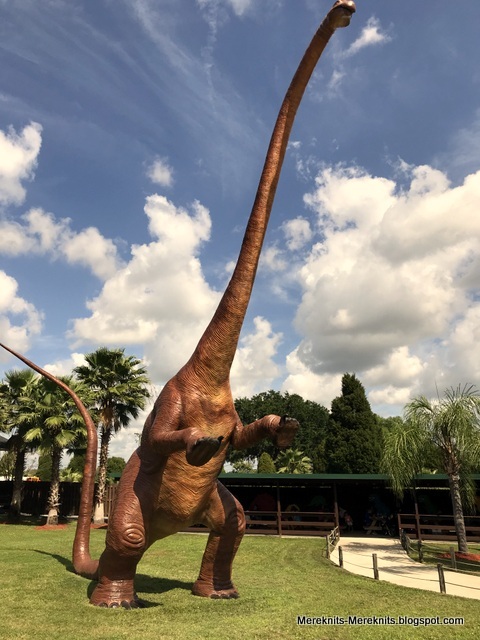 I decided to take him over to Dinosaur World, which is located between Tampa and Orlando. It was Mr. 21's favorite place to visit when he was little. I swear I must have taken him there 10 times. He would only wear dinosaur shirts to school for kindergarten and first grade. Max was a puppy then and would run after Mr. 21 and grab him by the shirt. 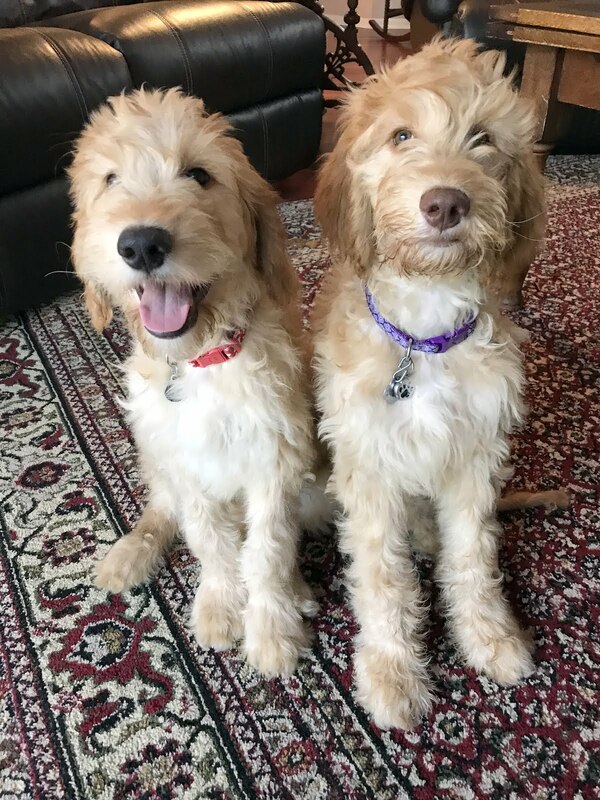 There were little holes in all of them from his puppy teeth. I had to keep sewing them up, frankly I thought the school was going to hand us a bag of shirts because he looked so hopeless in all his repaired ones. Anyway.............back to today. I surprised Little Buddy with this awesome adventure this morning. He was a bit anxious and was not too sure about it at first. He told me he had never wanted to go to Dinosaur World when we pulled up. But once inside he calmed down and looked around. It has grown so much in the 10+ years it has been since my last visit. There is a new entrance, gift shop, two playgrounds and a ton of seating for lunch or a snack. 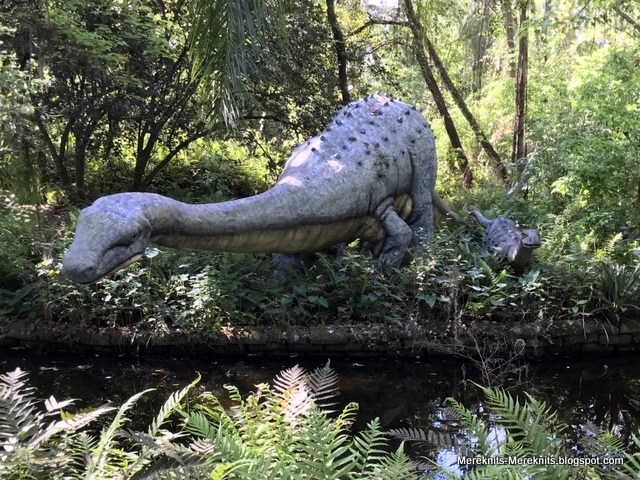 There were also several new additions to the dinosaur collection in the newer areas of the park. All dinosaurs are life size and I might add very impressive. You can't touch them and they don't move, still you can read about them and learn what they ate, how big they were and when they lived. 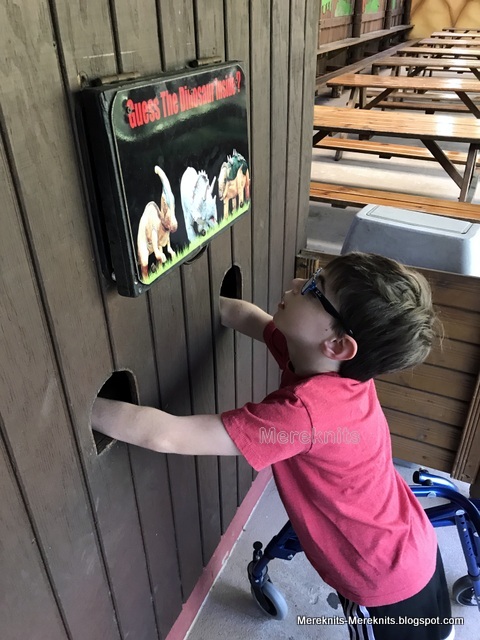 There were several educational areas where you could learn about dinosaurs, guess which dinosaur was in the special space by touch, there were fossil digs, and you could pretend you were a Paleontologist and sweep sand off of a full dinosaur skeleton. Well a plastic one anyway. They had a little gem mine you could mine for all sorts of fun little crystals. Little Buddy liked to take them out and put them in a bag but was not interested in putting the screen into the water and shaking the dirt out. He told me his hands do not like touching dirty water, so mine had to. When you see how big dinosaurs were it is pretty amazing. Although this little one was tricked into smiling in this photo he was a bit of a crab on our adventure. There were loads of families there and at least one school with many kindergartners. It was crowded and he still is not the best driver with his walker. He often veers right into the middle of the sidewalk, right into pedestrian traffic. With all the little ones and strollers all on the sidewalk it was a bit difficult to navigate. And there was a LOT of walking, and it was warm, and it was a new experience and that all adds up to a cranky boy. So even though we left before lunchtime this is what happened on the way home. 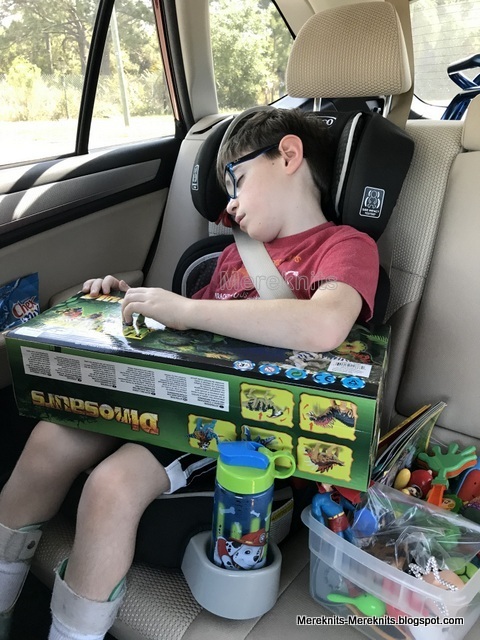 I am so happy he fell asleep because the last five miles of the journey took us an hour and ten minutes because there was an accident right outside the entrance to my subdivision. Once I was stuck in that traffic there was no way to go around it. We finally got home, had lunch and now he is happily playing with the new dinosaurs and red jeep he picked out as a special treat. Oh to be a little boy and have a big day! At least now he has something to write about for school. Thank you for all of your kind words about my work situation. I really try to be a good person and do what is right. My parents instilled that in us and it isn't always easy but it is the right thing to do. Especially when children are concerned, their safety is more important than anything. Still some decisions are not always easy to make, but sleeping at night with a clear conscious is. Hope you all have a wonderful weekend. After writing up one more re-evaluation I am free from all work responsibilities for two whole days, weeeeeeee! Looks like just the place to enjoy your day together! Good for both of you to have some time off! 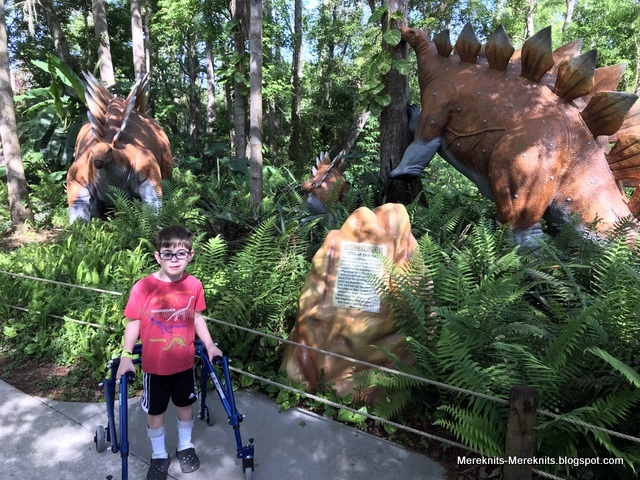 I always enjoy your blog - and I did have a chuckle about the words of little buddy that he had never wanted to go to a dinosaur park. I understood where he was coming from, it is scary trying new things. He seems such a spunky little guy. Actually your outing reminded me of taking my two grandchildren to a miniature golf dome on a no school day. 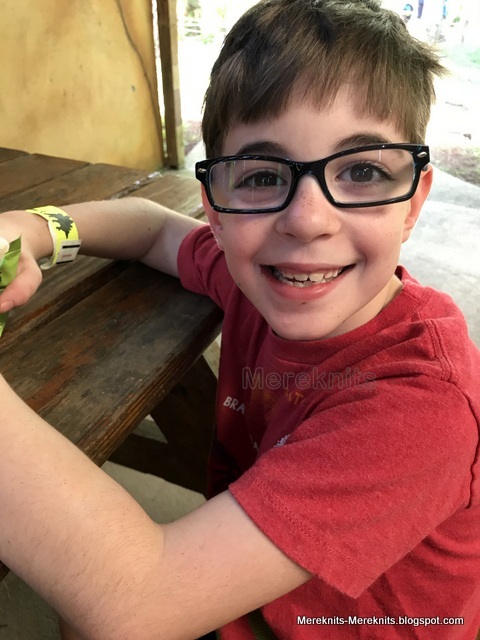 My youngest grandchild - 6 --was beside himself with joy as we parked hopping around with great delight, his older sister 9 was very unhappy groaning with dismay and wanted to sit on a seat and not participate. Fortunately when she saw the facility she cheered up - but it was certainly a memorable day. Looks like a great day out.Relax and enjoy your weekend. What a wonderful place!! I would love to go there, can I just rent a grandchild at the gate? So glad you had such a wonderful time !! That does look like a fun place to spend the day. I love that photo of sleeping Buddy. Nothing better than a worn out kidlet on the car ride home. He always makes me laugh. It sounds like it was kind of stressful. I think parents feel a lot of pressure these days to do expensive things to have fun. Plus you have to document everything. It looks to me like his dogs give him a lot of joyful entertainment. They are so funny. You are such an excellent writer. Thanks for sharing. What a fun adventure for Little Buddy and you. I'm glad he enjoyed himself and will have something to write about his spring break! I think I must have driven past Dinosaur World 100 times, but we never went in. Glad it was a good place. It looked kind of sketchy from I-4. There is a park down in St. Pete that has some interesting "dinosaur" type sculptures made of junk --- Boyd Hill. It is mostly sandy paths though....not sure how good that would be with a walker. But, it's a very nice park with an interpretive center at the entrance. Looks like so much fun. My Grands would love it I think but would also get hot and tired. Hugs! 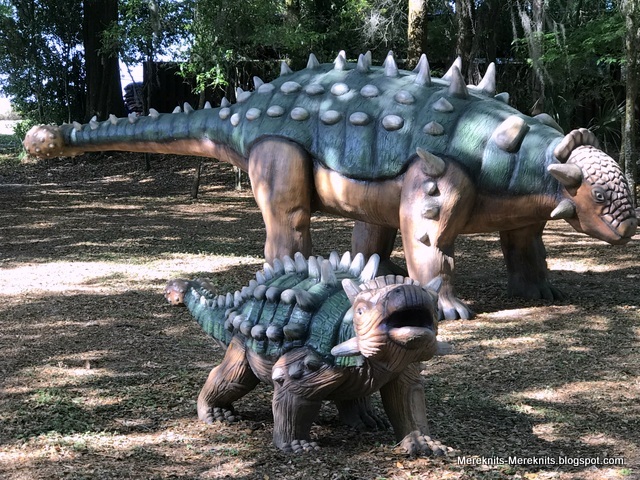 The perfect park for youngsters who are fascinated by dinosaurs and educational for those who may not be so enthusiastic! What a wonderful park. Nothing beats life size models to put one's existence into perspective. That dinosaur with the super long neck is freaky. Surely it wasn't truly that long? Perhaps the paleontologists found the neckbones of *two* dinosaurs mixed up with each other? I never knew that kind of dinosaur existed so there you go - educational for mums too! The school report should be fun. I hope you have resolved the work situation so that you can sleep at night. I wholeheartedly agree with you. I wish my local politicians and bureaucrats would do what is right for the public. It's nice for Little Buddy to have new experiences. We all need to push beyond our comfort zones. But there's definitely a benefit to lots of down time, too. I hope you have a relaxing weekend. 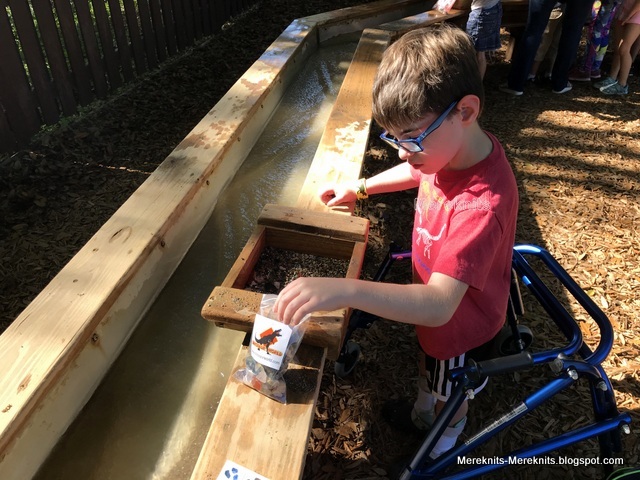 Looks like a fun day out out and turned out to be a great adventure in spite of the initial resistance, My Grandchildren would love that park. I'm sure your son feels stressed when he goes to huge venues: there is so much walking and with crowds, it makes that doubly difficult. And there is pressure on him to Have Fun along with trying to navigate and maintain stamina. That's a lot for a little guy! Probably, when he looks back and is talking about it with friends and his brothers, he will remember it with excitement and enjoyment. 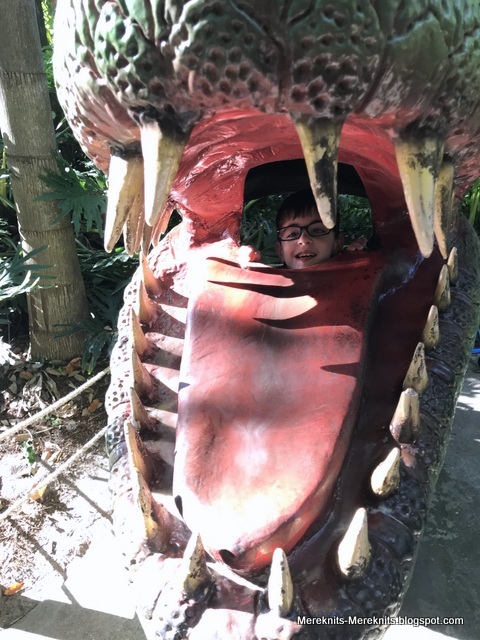 My son would have LOVED to go to Dinosaur World when he was a boy. At the theme park where I work, we used to have a dinosaur area and occasionally I'd find myself walking around the park in the dark long after it had closed. And every now and then the power wouldn't get shut off properly and one of those dinosaurs would roar. Talk about scared! I still laugh at my reaction the first time it happened. I didn't know what it was and I was TOTALLY freaked out! we have a real dinosaur museum of natural history and I always love going there. the brontosaurus is the long necked one and is literally two stories tall! I enjoy it especially since it was a plant eater. Little Buddy and I have a lot in common. I wouldn't have wanted to put my hands in muddy water either! LOL. he is just a little jewel himself! I love seeing the world through his eyes. That looks like a fun place to visit. I'll bet his school friends will be impressed. Have a good weekend, and a Happy St. Patrick's Day! I can see how it might be a little scary seeing those life-sized dinosaurs for the first time. But, what a great place for kids. I always loved it when my kids napped on the ride home. It looks like Little Buddy is having a god time after all. It is nice that you got to do some fun thing together.